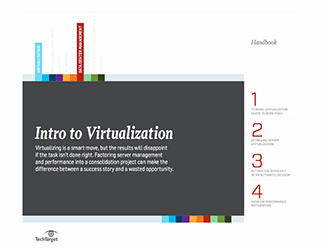 • How does all this virtualization change the requirements of a physical data center? • And in what ways do these new realities change how hardware is purchased? With software taking an increasingly prominent role in the data center, some IT experts argue that hardware has become commoditized and that conventional thinking about choosing servers needs to be adjusted. 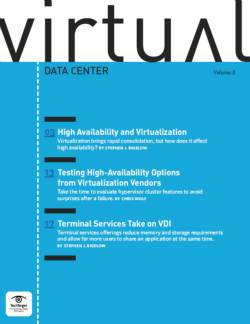 Are rackmount servers the right fit for virtualization, or can blades play a role? Does the size of an IT operation determine the best choice of server type? And what factors should be considered in determining whether white box systems can do the job? 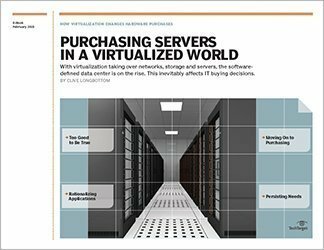 This chapter looks at these and related questions, including converged infrastructure, to provide insight into how organizations should think about server purchases in an era of the software-defined data center.